C) Their career peak hadn't coincided with the violent shift of musical headwinds that capsized so many likeminded outfits at the end of the 1970s. Too bad, because the band had the potential to make a splash during its all-too brief lifetime, which instead crested on this second album, released in 1978. There's a temptation to brand them as an antipode TANGERINE DREAM, always the yardstick for measuring any musical trio top-heavy with synthesizers. But the aggressive drum work and macho electronic riffing brings their sound closer to the psychedelic space-rock spirit of classic HAWKWIND, right down to the same processed, interstellar sax, played here by bandleader Steve Braund. It was the unique blend of instruments - synthesizers, heavy drums, and saxophone - that gave their music such a distinctive punch. Steve Braund may have been an expatriate German living Down Under, but unlike the early kosmische pioneers of TANGERINE DREAM his own band was hardly experimental (at least not on this album). The music here is strictly rock, with the bombastic vitality of all those analog synths and sequencers sounding no less appealing (if not quite as fresh) after more than thirty years. In truth the album has dated less than the band's cheesy sci-fi name and amateur cover art. And in retrospect it's a good thing they never compromised the authority of their strictly instrumental blitzkrieg with singing. I can't imagine the jet-fueled jams of "Eclipse" or "Medusa" being improved by lyrics, but then again a lot of fans were saying the same thing about TANGERINE DREAM before that band's addition of a vocalist for the "Cyclone" album, released the same year as Cybotron's sophomore effort. The Australian trio will never be remembered as musical innovators. But they succeeded in forging a singular identity for themselves, no small accomplishment in the creative cauldron of the mid-1970s. It may be too late for a complete rediscovery, but I'm reassured to find they haven't been completely forgotten. This is more interesting than the majority of 'prog' releases from 1978. But it's not extremely original or groundbreaking. Cybotron deserve credit for mixing drums and saxophone with synthesizers. An unexpected good mix. These guys had to much going against them to ever really make an impact; 1)they're from Australia, 2)a more well known techno act from Detroit had the same name which confused some people in the early 1980s, and 3)the music industry was moving away from prog and promoting New Wave and Disco. Formed by the German-born Steve Braund, the music here sometimes reminds me of what the duo Zombi would be doing 20 years later. The title track is the clear standout here. Sort of a prog electronic/symphonic prog hybrid. I'm used to the CD version which has a very edited version of "Raga In Asia Minor". I would love to hear the whole thing because this is the best song after the title track. But I'm not so interested that I would track down the original vinyl. There are two bonus tracks added but they're nothing special. A lot of this sounds like Tangerine Dream circa Stratosfear mixed with Hawkwind-style sax and typical '70s hard rock drumming. Absolutely nothing essential but this is a nice album to listen to. Nice cover artwork. If you find this cheap pick it up. Otherwise you shouldn't go out of your way and waste your hard-earned money on this album. 3 stars. An Aussie relative came to my country and left me a tape saying that I should have liked it. Effectively I did. Now I've found this band on PA but I have to base the review on my memory only (and on youtube samples) as I don't have anymore tape cassette readers. I remember that the music was very similar to Tangerine Dream of the post-pink period, that of Phaedra, Ricochet and so on. They had a sax or something sounding like a sax and their rhythms were faster than TD. I remember them as halfway between TD and Jarre, with also a possible relation with the instrumental Alan Parsons. 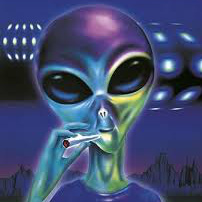 There were also spacey parts, but very far from the space travels of Atem and Zeit. I remember also on the second track a keyboard solo reminding of Rick Wakeman, at least in the sound. So even if TD is the principal reference, this band is more rock. Maybe "Kraut". The fact that this band has a drummer who plays drums, is another difference from TD. Now that I know the Dutch "35007" I have to say that this is the band closer to their music, if we don't consider the sometimes heavy guitars of their first albums. There's effectively one of the four half-side-long tracks of this LP that sounds like a TD clone. It's Medusa that seems performed by Edgar Froese. Of course I like it. I don't remember if it's the end of Medusa or the Beginning of Raga, but there's a quite long section of spacey noises and bells, then the epic, even if a bit repetitive, starts. I think I have thought to this when listening to "Liquid" for the first time. Well, this is not an essential album but I remember that it gave me very good sensations. a bit more than three stars, for who likes TD, 35007 and spacey progressive electronics in general. 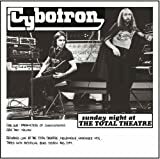 Australia's Cybotron are an instrumental synthesizer heavy band, who played spacey and repetitive electronica-tinged prog, with an interesting combination of live acoustic and programmed percussion. 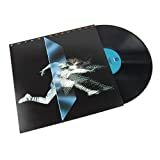 Taking many elements from German acts like Ashra, Eloy and Tangerine Dream, without ever blatantly ripping them off, the Melbourne band's 1978 album `Colossus' displays plenty of infectious energy, enthusiasm and is packed with top playing and great arrangements. Considering they're from my home town, it's surprising that I ignored this album for many years! The simple reason is my vinyl LP cover is torn and in terrible condition, so it was kind of off-putting and not pleasant to look at! Fortunately the LP itself is in good condition! But I'll be reviewing the compact disc version, which has a very controversial history that I'll explain later. 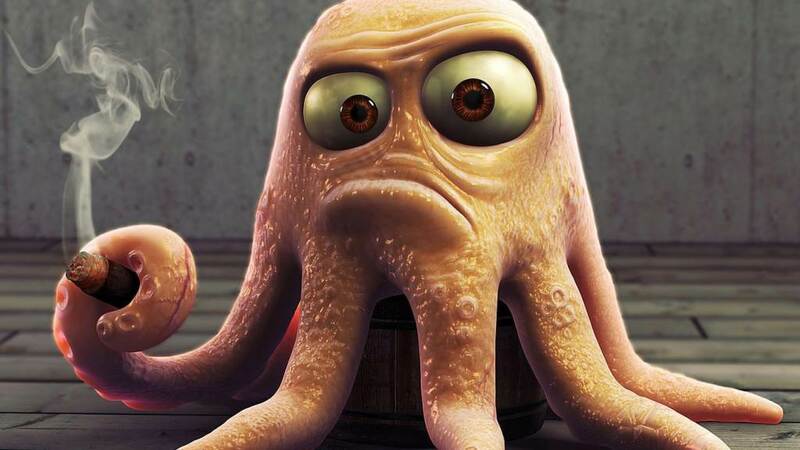 After a very spacey and programmed intro with a great build, the title track `Colossus' features a highly unusual treated saxophone blowing away, floating between synths and rattling percussion. Keyboard solos swirl around, stomping drums pounds away - drummer Colin Butcher is relentless on this track! Electronic effects punch through, before a very symphonic finale. It's got quite an upbeat tempo! What a way to start the album! Much of it wouldn't have sounded out of place on a 70's Eloy album. The ten minute epic `Eclipse' has almost three minutes of killer synth solos and more top drum work - total overkill, yet everything a prog fan could wish for! Very epic and grand, before a nice transition into a floaty middle with phasing effects and a near total fade out. By this point, we're lost in a liquid word of electronic ambience, before a sudden rush back into more synthwork and heavy drums. It's very disorientating and repetitive, creating a very dizzy and overwhelming sensation. Listen to all the maddening keys cut in and out, twirling around, phasing into oblivion, the militaristic percussion leaving you exhausted. An amazing piece, lots of drama and mood here, and killer playing by the band. Tangerine Dream fans will love `Medusa', a darkly ambient and programmed spacey synthscape. After an ethereal and majestic opening, it develops into a hypnotic, eerie, and trance-like piece. There's driving, almost tribal percussive beats that gradually build in tension throughout the heavily sequenced piece, and it's full of rapturous synth solos. What sounds like a flute near the end creates a very meditative tone. Worth grabbing the album for this one alone. Processed sax, thick synth stabs, and furious drumming storm through `Raga In Asia Minor'! It's certainly more upbeat than the previous piece, with some faster rocking sections and slower atmospheric moments. It's also extremely repetitious, but sure to get your head nodding in approval or foot tapping along. Very catchy and easy to listen to! Be aware, the album is available on CD, along with a download version, but bafflingly both contain only a 6 minute version of the final track, with about ten minutes cut out of the original! I have absolutely no idea what the thinking was behind this. Instead, they included a shorter remix of the title track (mostly pointless) and a bonus track `Ride' which is an another short but effective Tangerine Dream/Klaus Schulze-like sequenced piece - decent but nothing that hasn't already been done perfectly well already on the original album. As mentioned above, I do have an original vinyl copy, and within a few weeks I'll have access to a vinyl/USB convertor, so I plan on transferring the album across to MP3 so I can properly listen to and review the full length `Raga In Asia Minor'. I'll then update this review accordingly. A short and sweet album, there's really not a bad moment on it, certainly no filler tracks. Perhaps there's not a lot subtlety or depth, but the album sounds amazing on a superficial level. Endless thick keyboards, varied drumming/percussion, inventive programming and effective sax. Some would likely complain that many of the tracks are a little repetitive, but that's missing the point! The album artwork, though a little amateur, is kind of deceptively cool, with the vinyl version revealing a lot mode hidden interesting details than on first glace. 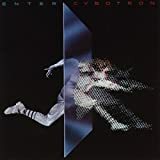 In the end, `Colossus' is probably not a hugely important progressive album in the big scheme of things, but the players in Cybotron can be proud in the fact that they put out several high quality albums, with frequent moments of true originality and real greatness. 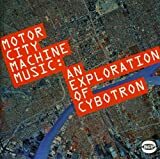 Post a review of CYBOTRON "Colossus"